If you take a closer look on Winter Light label releases, you’ll notice that they have quite a specific vision of their enterprise and want to create a coherent picture of what they do. Apart from Abbildung‘s All Demons Are Horned all the covers are hazy and surreal, holding a colour scheme which is cold, and yet also warm. Through the music, which may touch different sub-genres of dark ambient, but – on the contrary to the Cryo Chamber releases, which always tell a specific story and to a certain degree are a musical equivalent of a book or movie – they leave a whole lot space for the listener’s imagination. Taking a certain style as a starting point they let you follow it or not if you don’t want to. I wrote about it on the occasion of the VelgeNaturlig – Opalescent Pust review, so I don’t want to repeat myself, so I’ll just say this: if you expect that their album will take you by the hand and guide you through all the plot meanders, you should look elsewhere. 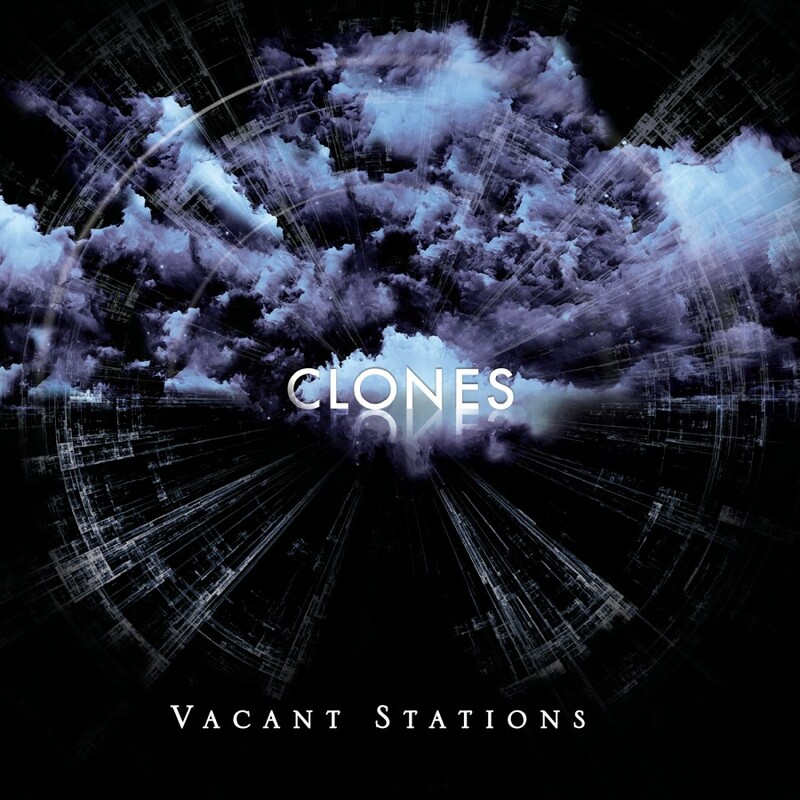 Clones by Vacant Stations is no different. It’s a fairly new name in the dark ambient business, at least I haven’t heard about it before, but the musician’s skills indicate that he’s producing sounds that didn’t start yesterday. Or simply he is a pretty talented fellow. The science fiction genre is a point of reference here, through the titles, the graphic design containing clouds, strange silhouettes and “zeros and ones”. And the music too, though don’t expect any plain sounds indicating that you’re dealing with a sci-fi based album. You know, the beeping of the computers, the hum of the engines, the sound of opening doors on the space station, all these sounds telling you: hey, you’re listening to a dark space saga, keep that in mind all the time. With Clones, when you hide the digipack in the drawer and forget about the titles, you may treat it like, for example an alternative soundtrack for the “Alien: Isolation” videogame, but you may as well use it as an inductor of the inner journey deep inside your own mind. The music doesn’t distract you, there are no rhythms, no samples of any kind. It is all based on the layers of deep drones intertwining one with another. They mostly are kept in quite dark shades, but there are a few moments of reflection, like in the composition called “Reprieve”. Once again, everything is perfectly mastered by Cruel Sound Works, so when it comes to the quality of the sound, you may sleep well. I’m aware that my conclusions on this one are quite similar with the ones I drew in the Opalescent Pust review, but it is all because of the label’s bigger picture. They have a plan for themselves and they keep to it. And I’m a big fan of their plan.